What are YOU using a case for? 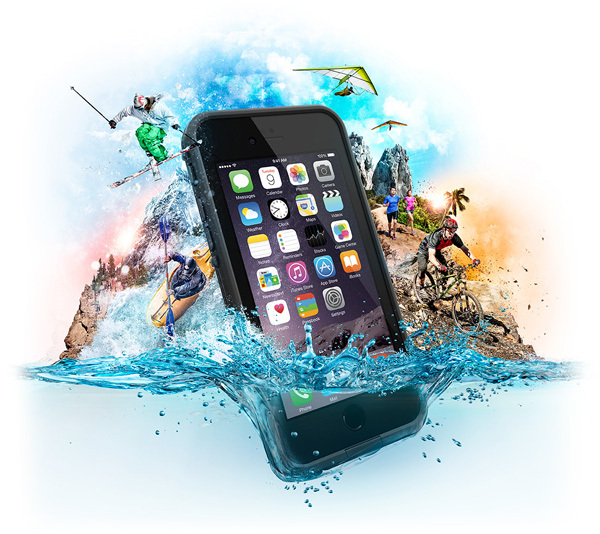 It’s easy to find lists of waterproof iPhone cases online, but most lists and reviews are missing an all-important question: what do you need your phone waterproof for? 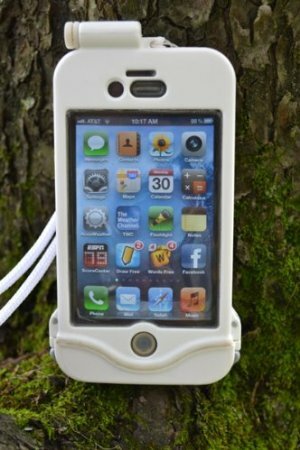 Do you need a waterproof case against protection against accidental spills? Do you want to take underwater video of your snorkeling excursion? 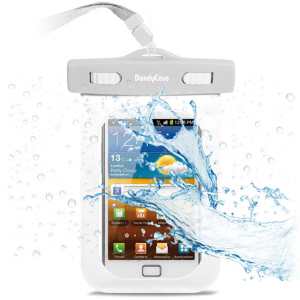 Perhaps you want a waterproof iPhone case for swimming, or boating? How much are you willing to spend? If you have lost phones to spills, humidity, dropping them in the sink or toilet, then this is for you. You want your phone protected all the time from all of life’s nasty surprises. These solutions are dominated by specially designed cases that are designed for (and sometimes succeed) at letting you use all the functions of your phone, with a layer of added protection. The leading brand in this category, they offer a full range of cases designed to not only protect against water, but drops and dirt. The many colors available are a two-piece design that fit snuggly to your phone. Lifeproof cases have a strong following, but they come with several caveats: You have to use the underwater iPhone case correctly; it must be damage free (if you’ve dropped it, you’re responsible for making sure there are no cracks or places water can intrude); you must correctly maintain the case, including the critical O-ring seals. Standard warranty is for 90 days, but you can validate your purchase and get a 365 day warranty. Extended warranties are available for purchase. As is typical, the warranty covers the price of the case – not the device it is intended to protect. A new option on the market place is to get your device protected with a special hydrophobic nano-coating. These coatings repel water in case of accidental exposure. The coating is thin, unnoticeable and covers all the circuits and electronics on your phone. You can also purchase a pretreated phone through them. The result is a phone that is indistinguishable from an untreated phone, but that won’t croak if you drop it in the tub. 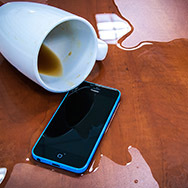 Liquipel offers a 30 day warranty on their workmanship and will retreat any device found to need it. Again, the warranty doesn’t cover the phone. If you don’t need daily accident protection so much as “I’m going to the beach today” protection, your best option might be to get a less expensive case or bag. These solutions generally protect the phone from water damage, but don’t give you access to ports for listening to music or charging the battery. They don’t last forever— you’ll get a limited number of uses, then they seem to break and you risk damage to your phone. There are several drybags and cases available. They are made of a waterproof plastic and have various innovative seals. 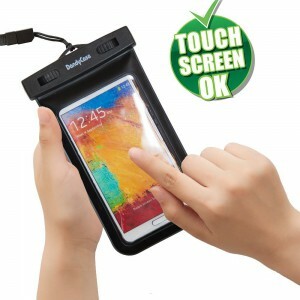 Most come with a lanyard or other way to secure the phone to you. The advantage of these cases and bags is that they are lightweight and if sealed correctly, they work. The disadvantage is that they are lightweight and if they tear or aren’t sealed correctly, they don’t. You need to test them each time you use them and ideally you should have a “wet test indicator” (like a colored tissue, or paper towel) inside the bag to alert you if the case isn’t working. Then you have a chance of saving your phone. Most customers complain about a cloudiness or unfocused quality to photos – and remember, on some brands your touchscreen won’t work underwater – if you do want to take photos, you’ll have to turn on your photo app first and keep it on. Reputable brands will have a warranty, but it will only be for the case. If you swim daily and want to listen to music, or if you want to take loads of clear underwater photos and videos, you will be looking at different characteristics. You’ll want access to ports, the use of the flash and an unobstructed lens. Lifeproof is a contender here as well, but the hassle factor increases when using it this way. To use the headphones underwater, you use the special adaptor that is provided. It screws into the headphone jack and then you connect your waterproof headphone to it. You’ll also have to purchase a separate clip or band so that you don’t have to hold the phone the whole time. Lifeproof takes pretty clear photos – the quality seems slightly diminished, and you can’t use the internal flash due to the light scatter – but it’s not too bad. This underwater iPhone case touts a screen that you can use underwater and an integrated audio jack that allows full functionality. The screen has a jelly, squishy surface that is supposed to allow touchscreen functionality under the water. That’s the theory – but the result is a sluggish, unresponsive screen all around. On the other side, the underwater iPhone case is easier to get on and off than most and when the double clips are in place, you know the case is sealed. When all is said and done, if you really want to take good underwater images, you’ll be better off getting a waterproof camera – you’ll have full functionality and you won’t have to create workarounds. Prices have come down and you’ll be surprised what you can get for the cost of a case. 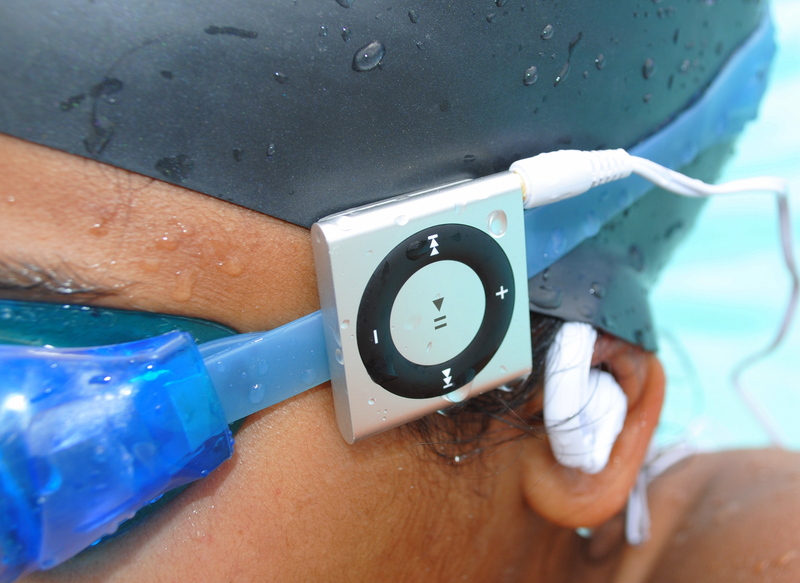 If you want to listen to music while you swim or engage in other water sports, you can get a fully waterproof iPod, like this one from Underwater Audio. The small form factor and easy to use controls (that actually work underwater) allow you to get on with what you want to do with pleasure instead of frustration. A key advantage of getting a waterproof electronic designed to be waterproof is that you get a warranty to match. You only have to ruin one phone before that pays for itself!